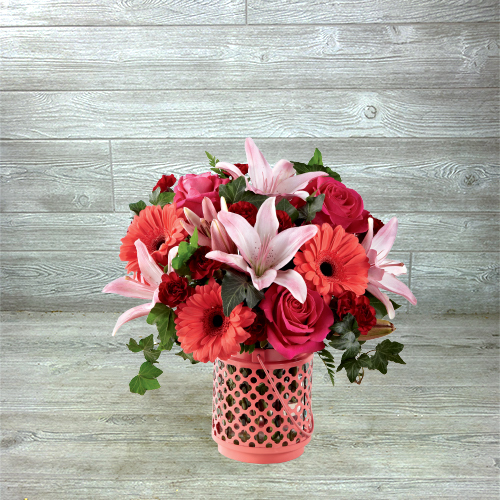 Send a wave of beautiful, bright and very on-trend coral pink splashing across every special occasion. 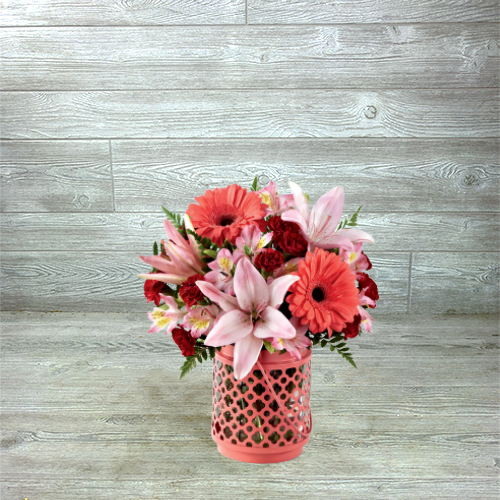 Designed in collaboration with the taste-making stylists of Better Homes and Gardens®, this chic bouquet combines mini carnations, gerbera daisies, alstroemerias (in Petite only), Asiatic lilies and roses (in Grande and Premio) in a pretty palette that ranges from pale pastel to coral to hot pink. 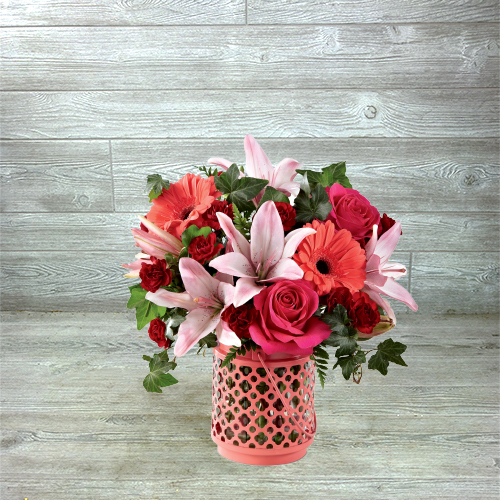 The lantern style vase features a clear glass cylinder in a cut-out metal holder painted bright coral to complement the flowers. Once the flowers are gone, the vase makes an enchanting candleholder for use indoors and outside.